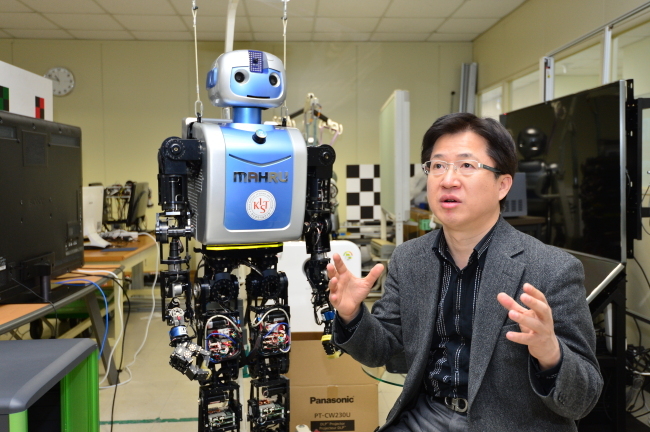 Eight years ago, You developed the world’s first network-based humanoid called Mahru, whose latest version, unveiled in 2010, can recognize items and tasks such as house cleaning, operating a microwave and performing other household chores. You, 50, has been leading the research to push the boundaries of virtual reality, focusing on technologies that enable people to interact without space or time constraints. 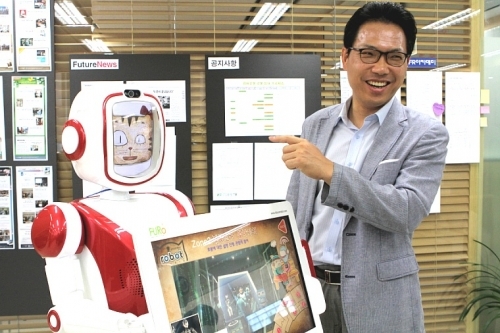 More than 200 researchers from KIST, the Electronics and Telecommunications Research Institute, KAIST, GIST, Hanyang University and Sangmyung University are taking part in the nine-year project. “The purpose of our research is to enable people to experience virtual and remote worlds as if they were the real world,” the director of the Center of Human-Centered Interaction for Coexistence told The Korea Herald in a recent interview. 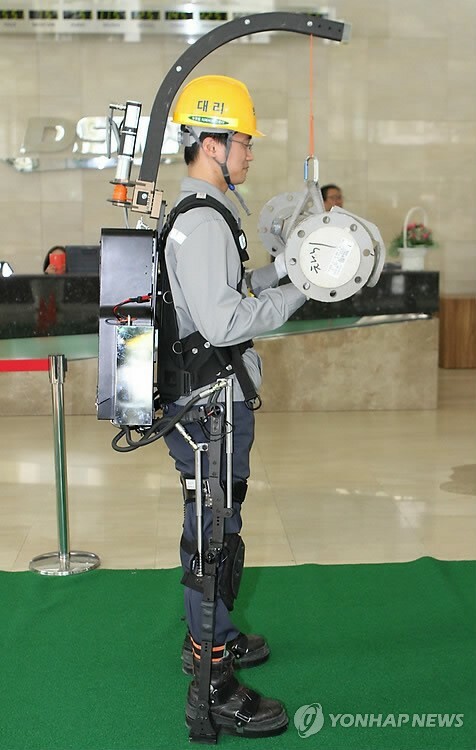 Ko Jae-ho, president of Daewoo Shipbuilding & Marine Engineering, the world’s second largest shipbuilder, showed up on April 1 with an Iron Man suit in a demonstration session for its wearable robot at the headquarters building in Seoul’s downtown. 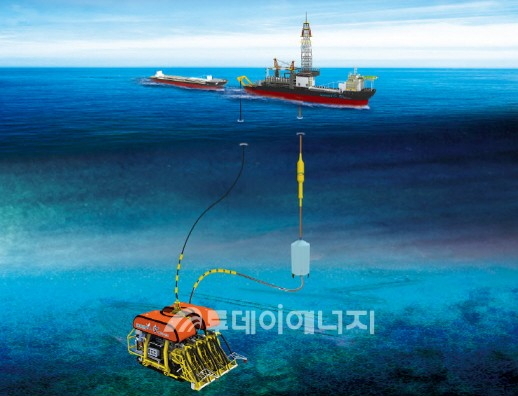 On the day, DSME’s central R&D center made a debut of two types of robots, one electrical and the other hydraulic. 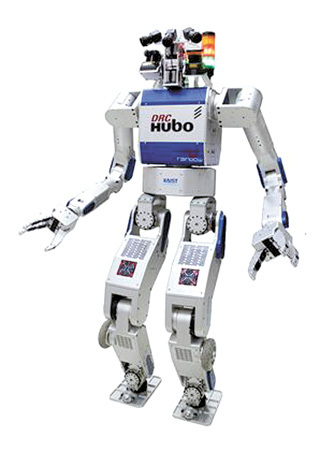 The robots can be worn like clothes and help with moves such as arm stretching and walking by detecting human intentions with the sensors. The company expects that the use of the wearable robots could enhance labor productivity substantially as there are many tasks in shipbuilding that involve heavy lifting and repetitive muscle work. 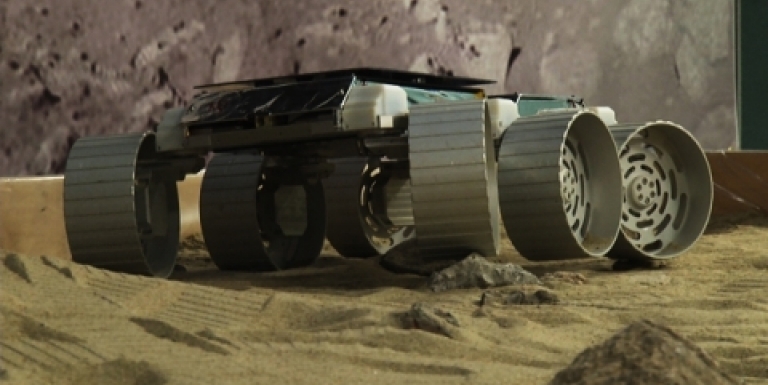 The robots were developed jointly by Hanyang University, the Korea Institute of Industrial Technology, and the Korea Advanced Institute of Science and Technology. The South Korean government plans to invest 350 billion won ($316 million) over the next decade to expand the country’s robot industry by more than 10 times, the Ministry of Knowledge Economy (MKE) said Wednesday. With the investment, the government will develop various technologies and new industrial, as well as commercial robots, such as disaster relief robots and home assistance robots. 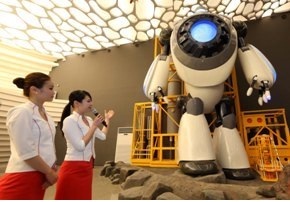 The government expects there will be a big bang in the robot market, as robots will be integrated into all kinds of industries, raising the demand for robots to address issues of aging, safety, labor shortage and resource shortages, the ministry said.